When we the hear the word "hepatitis," we tend to associate it with cirrhosis and other disorders affecting the liver. But it's not always the case. As with other persistent, chronic infections, hepatitis can directly impact one organ system (in this case, the liver) while indirectly affecting other organ systems, as well. One system indirectly impacted by liver disease is the central nervous system, and most specifically the brain. During an acute or chronic hepatitis infection, toxic substances from the liver can accumulate in the bloodstream and spread (or disseminate) throughout the body. When these substances enter the brain, they can cause a neurological condition called hepatic encephalopathy. Hepatic encephalopathy typically presents with confusion, lethargy, and sometimes dramatic changes in behavior and motor skills. If left untreated, the disease could gradually progress to a coma (coma hepaticum) or even death. 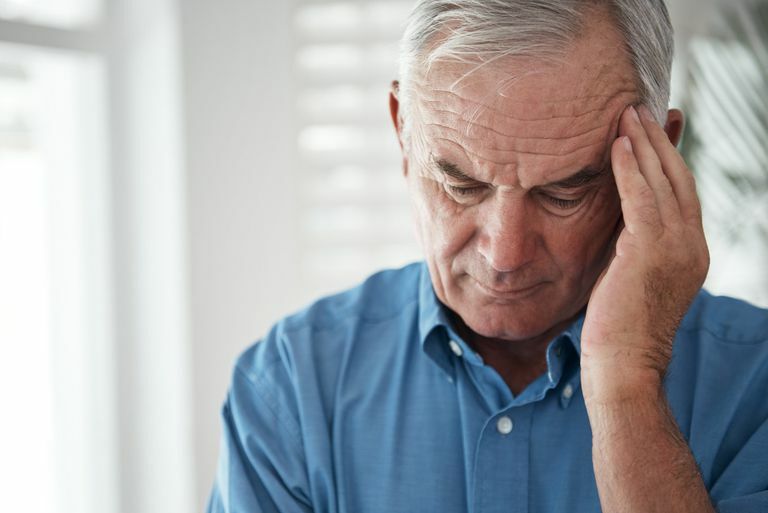 All told, between 30 and 45 percent of people with cirrhosis will develop some signs of hepatic encephalopathy, whether it be mild forms of forgetfulness or more severe bouts of amnesia or seizures. While hepatic encephalopathy is associated with acute liver failure, there are usually other contributing factors at play. Many of these factors have nothing to do with either the liver or the brain; they simply appear to either trigger an attack or further aggravate an existing episode. By identifying the underlying causes of hepatic encephalopathy, doctors are able to treat the disease more effectively by minimizing the factors that may have precipitated or aggravated an attack. Hepatic encephalopathy typically occurs when the liver is no longer able to perform its usual metabolic functions. In persons with a normal liver function, nitrogen-containing compounds from the intestines are transported to the liver, where they are processed and excreted from the body. When liver function is impaired, the nitrogen-containing compounds begin to gradually build up, which causes an increase in ammonia levels. These ammonia particles then spread throughout the bloodstream and pass through the semi-permeable membrane that that surrounds the brain. There, they cause the swelling of brain cells called astrocytes, which eventually slows the production of neurotransmitters vital to cognitive thinking. Hepatic encephalopathy is often difficult to diagnose in the earliest stages of the disease. Forgetfulness, irritability, anxiety, and confusion are often the first signs, most of which easily missed even in persons with known liver disease. Severe cases can lead to a worsening state of consciousness, often progression to violent seizures and coma. Death is usually caused by the severe swelling of the brain (called cerebral edema). Clinical diagnoses are also made by classifying the underlying cause, whether it be acute liver failure (Type A), a TIPS procedure (Type B), or cirrhosis (Type C). Each of these classifications assists in determining the appropriate course of action in treating the condition. The diagnosis of hepatic encephalopathy can only be made in the presence of a confirmed liver disease or in persons who have undergone a TIPS procedure. Diagnosis is made by excluding all other possible causes of the neurological impairment. Hepatic encephalopathy is treatable. Treatment is typically focused on resolving any underlying condition which may have triggered or exacerbated an attack. In some cases (such as in persons who have undergone a TIPS procedure), the condition may resolve spontaneously and require no further intervention. At other times, termination of a certain drug or the treatment of constipation can significantly improve neurological symptoms. In cases where an active infection has been diagnosed, antibiotics will typically be prescribed in the form of rifaximin. Additionally, lactulose is commonly prescribed as first-line therapy to reduce the production of ammonia in the intestines. The prognosis for a person with hepatic encephalopathy can vary significantly. The diagnosis of encephalopathy, along with a battery of liver tests, will typically be used to determine whether an individual will need a liver transplant. In persons with advanced liver disease, such as decompensated cirrhosis or liver cancer, a liver transplant is most often indicated. Vilstrup, H.; Amodio, P.; Bajaj, J.; et al. "Hepatic Encephalopathy in Chronic Liver Disease: 2014 Practice Guidelines from AASLD and EASL." The AASLD Practice Guideline. 2014:3-67. Conn, H. "Hepatic encephalopathy." Schiff, L and Schiff, E., eds. Diseases of the Liver. 7th ed. Philadelphia, PA: Lippicott; 1993:1036-1060.